The snow season is just around the corner - but with it comes the possibility of avalanches. Early season avalanches can be particularly surprising. Here are a few guidelines to keep in mind, but be sure to take an AIARE class if you plan on spending much time in the backcountry this winter. 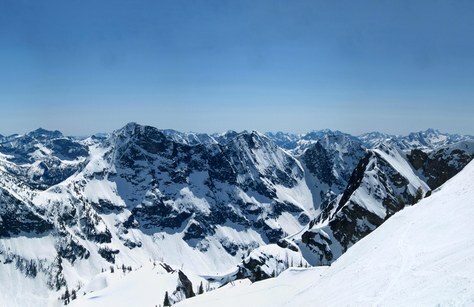 On December 29, 2002, a party of seven mountaineers were involved in an avalanche accident in Cement Basin near Crystal Mountain. While skiing, they triggered a slide that buried one and partially buried three. One person was killed and another sustained a broken leg. More people are killed on national forest land by avalanches than any other natural hazard. On average, 29 people per year have been killed by avalanches over the past five seasons in the United States. Last season  was a statistical anomaly due to lack of snow and for Washington, this resulted in a year of zero fatalities. Almost all fatalities are people doing what we all love to do in the winter; backcountry skiing, snowshoeing, climbing, snowboarding, or snowmobiling. Roughly 90% of victims die in slides triggered by themselves or a member of their party. Most die from asphyxia while about a third die from trauma. If you are buried more than 35 minutes you only have a 27% chance of surviving. These statistics should be scary enough to give anyone a healthy respect for dangers present in a snowy environment. Fortunately, avalanches are not entirely unpredictable. They happen for particular reasons, at specific places and points in time. There is no doubt that education, information and experience are components of staying safe in the mountains. A good start to your adventure would be to familiarize yourself with the following four important concepts. Mountain travel at any time of the year requires planning in order to optimize safety. Beware of the seven P’s: Proper Prior Planning Prevents Piss Poor Performance. Your adventure should begin in the comforts of home where you can, stress-free, research and decide on a trip that is appropriate for mountain conditions and fitting for the folks in your group. Doing proper trip planning helps you foresee, mitigate and avoid hazards. Your plan should incorporate avalanche and weather forecast, snowpack analysis, terrain assessment, human factors, and emergency contingencies. Obtain and review the avalanche forecast at www.nwac.us. Here you will find the experts’ opinion of current danger and a travel advisory for the day. Account for this advice in your plan for the day. Plan for several route options and estimate how much time it will take you to complete your trip. Consider your gear needs and what to do if you have to spend the night — or an accident happens. Leave a detailed description of your trip plan with a reliable friend, so they know what to do and who to contact if you are late. Include your whole group in the planning process and agree to travel together, decide together, and build consensuses as a team. If you get things right at this stage, chances are you will return home happy and with a great sense of accomplishment. Your terrain choice is a primary key to your safety and if avalanche is the question, terrain is the answer. You can explore the mountains in any winter condition and be safe; it just depends on where you choose to go. It's important to identify where in the terrain the avalanche danger is present. A slope angle of 30-45 degrees is bull’s eye for an avalanche. A steep, sparsely treed, wind loaded slope with rollovers, gullies and cliff bands will be more dangerous than a low angle, heavily treed slope or a ridgeline. 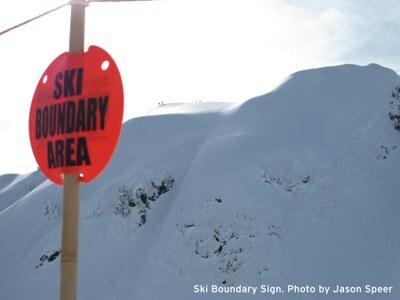 In addition, consider your routes exposure to the sun, type and amount of anchors, elevation, size, evidence of previous avalanche activity, potential trigger points and terrain traps that are present on the slope. To gain a better understanding of the terrain consult maps, guidebooks, online forums, pictures, knowledgeable friends, and professional guides. Take time to identify specific terrain to avoid. Red mark these on your map so you won't forget or be tempted to ski the line or take the shortcut. Nature has a way of warning us about danger so keep your senses alert to signs of unstable snow. Current avalanching is the most obvious sign of instability. This suggests that similar slopes that have not avalanched are highly unstable. Cracking snow, shooting cracks or the sound of snow collapsing is an indication of buried weak layers. This is a clear sign that avalanches could happen given a sufficiently steep and open slope. If it sounds like you are walking on a drum with hollow sounds, you are likely in a thin snowpack area where avalanche triggering is more likely. Wading to your armpits in snow is evidence that there is a lot of snow available for a loose snow avalanche. Stepping through heavy snow on the surface into lighter snow beneath indicates the possibility of a slab avalanche. Evidence of past or current wind transported snow indicates areas of wind slabs. Quickly warming temperatures or if it's starting to rain is a sign that its time to head back indoors. It is important to be observant and heed the warning signs of nature. Have a great time in the backcountry, but don’t forget, your danger assessment could be incorrect, so employ sound habits to reduce your overall risk exposure. These habits include choosing the most cautious route following low-angled or treed slopes and ridge crests whenever possible. Don’t stop, regroup, or take photos in exposed areas and terrain traps. Travel one at a time through hazardous areas and keep your partner within sight. Assign someone to be in front and in back. When choices about your route or safety are required make sure to stop and consult the whole team. Make decisions as a group and continuously monitor human factors that might be affecting your judgment. Don’t travel above someone on a slope. Avoid traveling alone and splitting up from your party. Stay far away from cornices; don’t travel on them, don’t travel below them. If you are uncertain if a slope is stable or not, increase your safety margin and choose a different path. Insist that your partners are as attentive to safety as you are. The Mountaineers have many wonderfully experienced mentors within its membership and most of the branches offer industry standard avalanche education at reasonable prices. Consider signing up for one of these courses to learn more. Understand that making decisions in the mountains is difficult and absolute certainty and accuracy might not be within reach. Apply yourself to getting educated and employ a structured process for planning, making decisions, and execution of a trip. Look back and reflect on every trip to understand what you did well and in what areas you could improve. This process of reflection will help you develop as a decision-maker and result in increased safety for you and your team in the winter landscape. This article originally appeared in our November/December 2015 issue of Mountaineer magazine. To view the original article in magazine form and read more stories from our publication, click here. by Peter Schaerer and David McClung.